I’m a fan of chevron and always like the idea of chevron patterned wall. 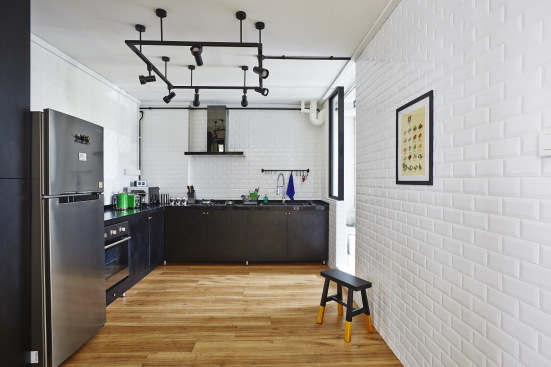 For some reason, the idea of painting the walls with chevron or any geometric patterns is not that commonly seen in Singapore homes. 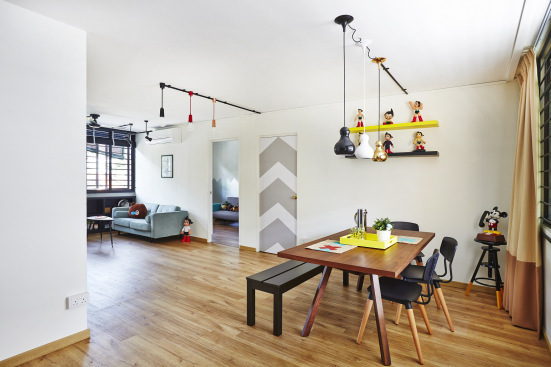 So I was really excited when I saw this HDB apartment featured in the August issue of Squarerooms. 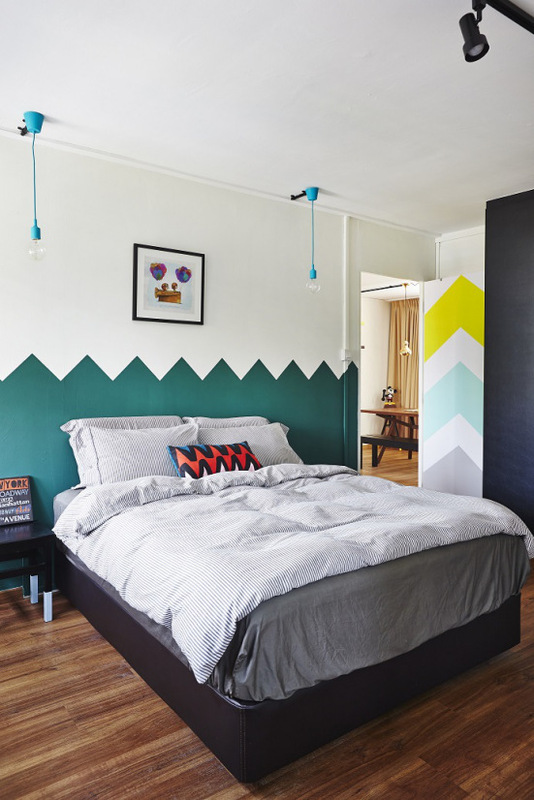 The designers from t-werkz and home owners have decided to bring in some chevron patterns in bright colours to liven up their scandinavian style home! For the rest of the home tour, go get the August issue of Squarerooms!